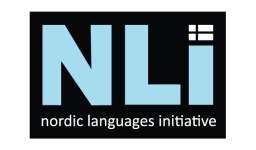 Nordic Languages Initiative – Express yourself, the Nordic way! We aim to teach you how to walk and talk like a Scandinavian right here in Toronto! That means learning Swedish, Norwegian, Danish, Finnish or Icelandic with its traditions, culture and even food. We are not just a boring language school, either. Our instructors and staff have the modern lifestyle in mind, incorporating the latest in technology and pop culture such as viewing YouTube videos, funny tweets and HuffPost articles relevant to today’s issues and hot conversation topics… we want you to know what’s going on in a Nordic country today, not back in the 1800s. Oh, but if you want tradition, you’ll be learning that too. I would be very interested in Norwegian lessons! I guess I gotta wait till you find some teachers! Please add one more to the list of people interested in Norwegian. Oh I am SO interested! Ive been teaching myself for a couple of months and been looking for a place where I can actually speak with people. Jag är dansk, jag har en lärarutbildning och jag bor i Toronto. Philip, please send your CV to swedishlessonstoronto@yahoo.ca. We are interested in talking with you. I am interested in learning Danish! Are you a teacher? Yes I am a teacher and I have a specialization in Danish as a second language. Paco, if you haven’t already, please email us at info@nordiclanguagesinstitute.com to notify us of your interest in Danish. If we get enough prospective Danish students, we will begin a Danish course soon! Thanks. how can I get in asap for your next round of courses? Hi Aurora, Please email us at info@nordiclanguagesinstitute.com to get on our mailing list. We will offer Swedish I again in Spring 2016, so not to worry! Hope you will join us soon. Jag har jobbat som lärare senaste 2 åren i Stockholm , bor i Toronto och undrar om ni behöver mer “instructors” i svenska . Gärna skick ett CV till oss info@nordiclanguagesinitiative.com. Beroende på behovet kan vi tänka oss att anställa fler svenska lärare. I would also be interested in Norwegian as would my mom. You will get an online receipt through email that notes the taxes, if that’s what you mean. Do you issue a tax receipt for course fees? I’m interested in the Swedish language course for the Fall of 2016. Definitely contact us at info@nordiclanguagesinitiative.com. Our Swedish classes have just started. Hej undrar när nästa omgång av svenska lektioner börjar? Min 18 årige son är intresserad, han pratar en del svenska men vill lära sig att skriva och läsa också, vilken klass borde han anmäla sig till? Hi Jeannette. we are planning for Swedish classes possibly in the Spring-Summer, but definitely in the Fall (September) Please join our mailing list at info@nordiclanguagesinitiative.com to get more information when it becomes available. Thanks! What are the cost ? I’m in for Norwegian too!! Tusen takk!! Hi do you need teachers for swedish ? For this term, we are already set with instructors for Swedish. Thanks for your inquiry. I signed up for the Fall 2016 Swedish I course a little late, and wondered if it would be possible to get the room number in which the class will be held via email. Tack sa mycket! How much would Norsk classes be?when are they running? Tusen takk! Hi Amy, it is $395 for 12 classes, 2 hours per class and runs once per week. Please click Register Now to sign up online. Thanks! Im in? How much is class? Hi Peter, it is $395+HST for 12 class sessions, 2 hours per session, once a week for 12 weeks. Hope you will join us as classes start next week! Har ni stängt registreringen för svenska nu i Januari. Min son är intresserad. Han pratar hyfsad svenska men kan inte skriva och läsa så bra. Vilken nivå borde han börja i? We plan to offer Finnish in the near future. If you’d like to join our mailing list, please email us at info@nordiclanguagesinitiative.com. Thank you for your inquiry. Just curious when the fall courses registration is? The Fall courses usually the 2nd week of September and registration should begin sometime in July. Hope you will join us! Any likelihood Danish will be running anytime in 2017? Moving to Denmark at the end of the year and this sounds like a fun way to learn!!! I’m interested in learning Finish. Hi Gabriela, please do sign up! We will have more information shortly about the teacher soon! Do you offer on-line studies in the Danish language? Unfortunately, not at this time! We only offer group lessons held in Toronto. Hi Kla. at this time, we can’t confirm whether he will be the Danish I teacher or not. It all depends on his schedule & demand for this class. Thanks and hope you join us! Very interested in your courses. Do you have a physical location? Can you tell me in what neighbourhood your courses are located? My access to classes depends on location. Thx. Hi Caroline, we aim to have classes near downtown Toronto and by TTC. Hope you join us! I am looking for a Norwegian Class / Tutor to teach my child Norwegian as she is going to Norway for 1 month in July. She is 11 years old. I am interested, what are the fees, dates and location? Thank you. Hi, saw your ad on Facebook. Want to learn Swedish level 1. Next planned Finnish courses? 2 hr lessons once a week? Any chance of Saturdays – my daughter would have to travel 2 hrs to get there? Sorry, Minna, we currently don’t have plans for the weekend as of yet. Keep checking back! Hey, are Swedish classes still being offered? Please let me know, I am interested. Thanks.